Oh, hi! Long time no post, I know. There isn't really an excuse but between work, and trying to have a social life, and traveling, the blog has fell to the back burner. 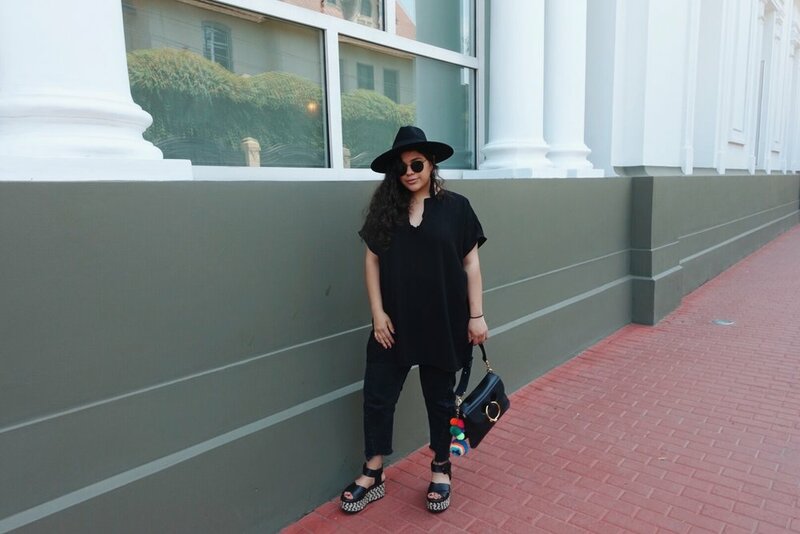 So I'm back with a little post of a look I wore while in Barranco, Lima, Peru. Sporting my usual look- all black. 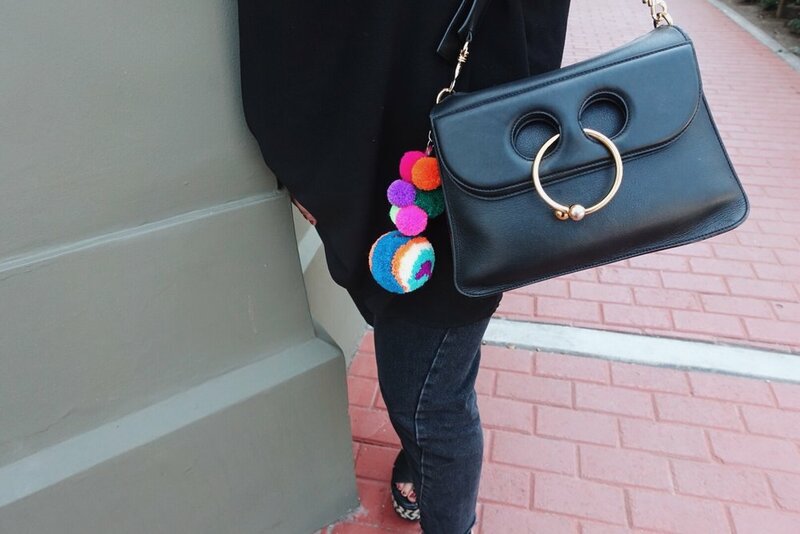 There are little Peruvian touches I added like the handmade pom pom keychain I bought from two incredibly artisans and a pair of killer flatform sandals by Limeñan shoe designer, Donna Cattiva. Super comfy and gives me a height boost. Winning. I really wish I had more photos to share apart from the stuff I posted on Instagram because Peru is probably THE most diverse and culturally rich country I can imagine. I mean, I guess I'm a little bit bias because I'm full blooded Peruvian but there are so many things to see, things to eat, and history to learn about. The majority of my family lives in Lima, so I was lucky enough to have a real deal tour of the city and eat the best food. And listen to countless stories of my family's history of course. I took a few pictures, but really just enjoyed every second I could with my family and it was absolutely worth it but the next time I go, I probably wont put my camera down. In the future, I would really like to include more travel based posts of places to visit while away, what to pack, what to avoid. Traveling is so important to me and always has been, so it only makes sense to document it, right? I will absolutely be coming back to Peru v soon, so I have a list already compiled of things I'd like to talk about! There are a few trips I have planned in the next couple of months, so please let me know if there are general travel related posts you'd like to see! I would love to hear!